The only reason I'm telling you that is because the title of this post is a lie and otherwise I wouldn't be writing this post right now. Let me explain. I usually have several 'rainy day' posts lined up to go in the inaccessible comfort that is my 'drafts' folder. Usually, I have at least three posts that I'm ready to put out just in case my life goes into crises. On some days I just can't find the time to get a post out, mostly because I'm a badly-organised human, but other times it's because I have other things on my mind which hinders the creative flow of my words and as I promised, if a blog post isn't flowing out of me with integrity I don't post it. I stop and don't try. For those days, when motivation is low I can release a magical 'rainy day post' that makes it seem like I'm a magically organised blogger on top of her game. Let me explain to you what this concept is: One week you may find that blog posts are streaming out of you like music from a radio, but you may find that you don't need to post all of them. If it's an 'evergreen' piece that isn't a timely piece then you should store that post and keep it for a day when you can't get a post out. I see this concept as being different to scheduling blog posts. Scheduling blog posts for a month's time away means that you know you'll have content. Rainy-day posts are your emergency or 'back-up' content. It's the unplanned stuff that I'm talking about- a fractured arm, a broken laptop or a busier-than-planned non-blogging schedule. Do you know what 'rainy day' blog posts need? 'Rainy day' photos. Whether that be blog flat lays or images of you wearing the latest faux fur coat on a stranger's garish red doorstep, unpublished photos are a 'rainy day' must, too! If you're publishing unplanned content, a few photos here and there wouldn't do you any harm. You'll be so grateful for the photos you never got round to posting, I promise you that. 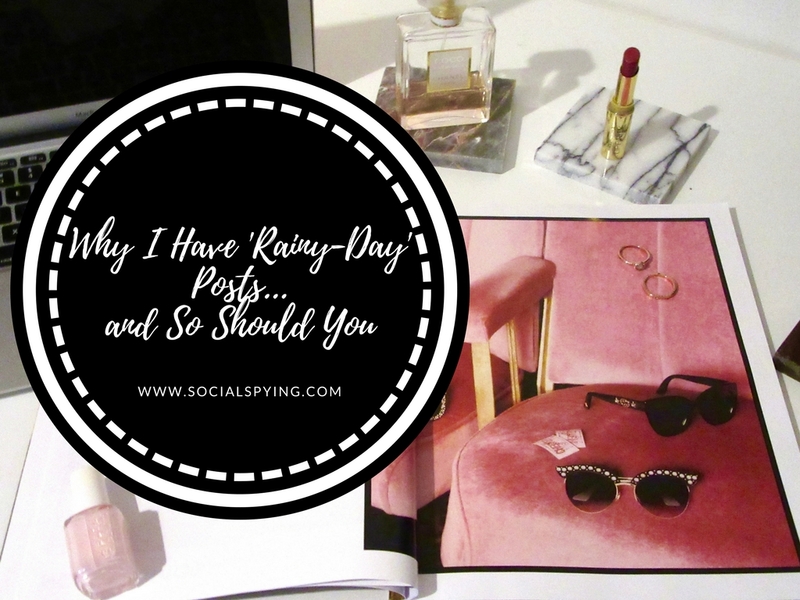 "The only reason that I wrote this post is that all my 'rainy day' posts are sitting in my cosy, draft folder." Remember I promised integrity and honesty? Well, here goes: the only reason that I wrote this post is that all my 'rainy day' posts are sitting in my cosy, draft folder. They're all half finished or don't have the magic that I think a blog post needs. Some just aren't pieces that I'm proud of but can't bring myself to delete. 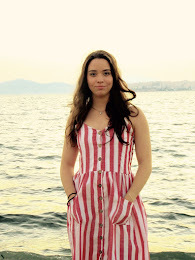 So, here's me, writing about 'rainy day' posts when I wish I had some myself. Learn from me. Do you have rainy day posts or do you get impatient and post them all? I have some drafts but most are just titles and ideas of what I want to write...just need to write them! Yep, I totally do this too! I usually post any time-sensitive posts when I can (months in review, blogmas, veganuary, etc.) and save factual ones for when I've hit a block. Posts collecting dust in my drafts that I'm actually really eager to finish/ publish are: backpack pin tour, my tattoos and piercings, top ten drag queens, tips for first-time flyers, scrapbook throwback, etc. I'm totally the same with having half finished blog posts in my drafts that just don't have that blogging magic I want them to have. But I think this year I'm going to try and have some 'rainy day' posts in my drafts since I feel like I might be pretty busy this year at some points with university and all. This is such a good idea Steph! I'm going to start doing this soon. I'm finishing work on Thursday and I don't know when I'll next be getting a job (it's super tough out there!). I'm going to use my time practically and get lots of posts drafted for when I need them. Great post, Steph! I really need to draft up some rainy day posts! I broke my laptop last month and panicked so much about not getting blog posts up.